I can't stand politicians deliberately not telling the truth. We can argue about different policies based on given set of facts, but just making up bold assertions like the Premier has on Labor's policies. In my view this means that she has forfeit the right to govern our state. BEREJIKLIAN: He has just misled the public because no matter which way you look at it the public has to pay for the upgrade to a stadium. No-one else but the taxpayer. DALEY: They [regional NSW] were promised 30% of the funds from restart. They're getting 14%. The 2017 NSW Auditor General report into State Finances says that 14 per cent of Restart NSW Funds were spent in the regions. DALEY: According to budget papers this year, the Government's capital spend in public schools is $1. 8 billion for this year, less than what they're spending on stadiums. Page 1-9 of the 2018-19 Budget Infrastructure Statement says that the total capital expenditure on Education and Skills in 2018-19 is $1.793 billion. If anything that figure is inflated because it includes all capital expenditure for TAFE as well. The Liberals and Nationals total stadium spend is $2.2 billion. The final year of the Labor Government averaged an unemployment rate of 5.1%. Only Western Australia – which was in a mining boom – had a lower unemployment rate. This was following the largest financial crisis since the Great Depression. One fact that neither the Premier nor the Treasurer have disputed is that they have wasted $14 billion on budget blowouts on major projects. All sides can now agree on this. Stuart Ayers claimed that they took their stadium policy to the 2015 election. However the Liberals and Nationals 2015 stadium policy was just $600 million. The Sydney Gateway was included in the WestConnex business case but after blowing out from $800 million to $2.6 billion, the Liberals and Nationals claimed it was a separate project. Labor has backed the alliance of music industry groups who today launched their campaign to protect live music in NSW with a #votemusic message to voters before the March 23 election. Music industry social media pages today have changed their profile pictures to post images of static and white noise, in support of the #votemusic campaign. This campaign is a glimpse of the future of the NSW music scene – static and white noise. To save music in NSW we need to change the government. The campaign is being organised by the Australian Festival Association along with Live Performance Australia, APRA AMCOS, Live Music Office, Music NSW, ARIA and PPCA. 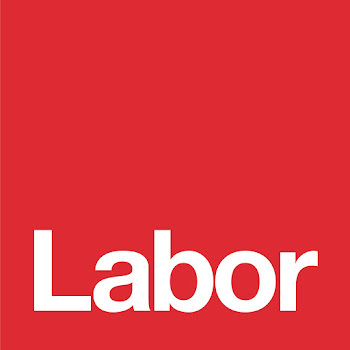 Today the NSW Labor page joined in the campaign. Labor has announced that in government it would scrap the existing festival regulation and immediately consult with the Australian Festivals Association and relevant government agencies about the future of the licensing regime. Labor has announced $4million support for festivals in NSW, and its support for a streamlined licensing and multi-year approvals for festivals with a good track record. This is a part of Labor’s $35 million package to support the music sector, which includes $11.5 million of direct funding for artists and the industry, $3 million to keep venues open, $10 million to create a home for music in NSW, and a plan to rebuild the touring circuit across suburban and regional NSW. The contemporary music and festival sector for NSW, generates $325 million in revenue for the NSW economy with 6 million attendees every year.